The channel ABC has a mixture of comedy programs that are still relatively young and fresh ("American Housewife," just started its 3rd season) and ones that used to be great but now have long since worn out their welcome ("Modern Family," lost its spark about 4 or 5 seasons ago). In its effort to keep introducing new stuff to replace whatever gets cancelled or finally ends ("Modern Family," might actually wrap this year, I've heard), ABC has brought us, "Single Parents," and it is suitably funny thanks primarily to the strength of its cast injecting some life into what might otherwise be dull stock characters. 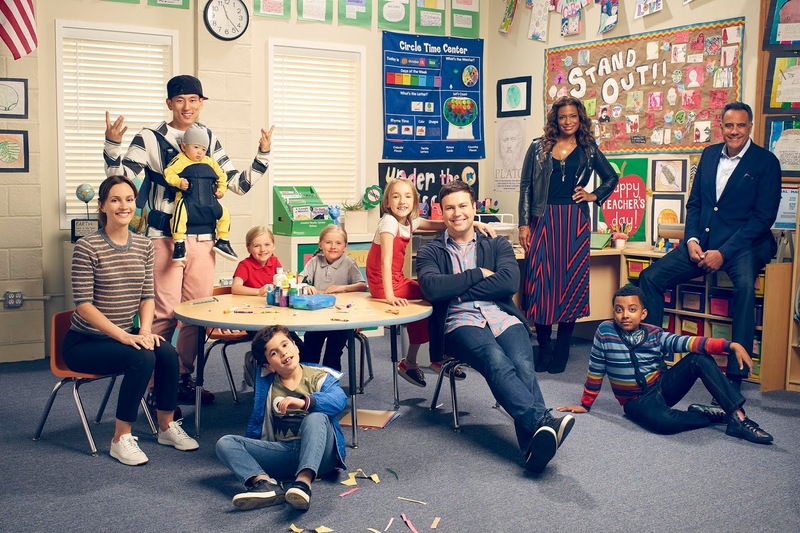 "Single Parents," focuses on its titular group of single parents at an elementary school who take turns handling various responsibilities so as to have somewhat balanced lives. The characters might feel mostly like cliches if it weren't for the talent portraying them. Brad Garrett plays an old somewhat-conservative white guy who had to raise his two twin daughters when his young wife suddenly passed away. Taran Killam (I always loved him on, "Saturday Night Live," and am happy he has a new gig) appears as a very high-strung former weatherman who has made so much of his life about raising his daughter he struggles to have his own personality. We've also got Jake Choi as a very young dad to a new baby who still has a lot of growing-up to do himself and Kimrie Lewis plays a mother who is also a wine bar owner and a strong feminist (yes, she and Garrett's character argue a lot as you would've predicted). Leighton Meester's character is probably the only one that isn't too exaggerated a stereotype. Meester is instead shown as a younger mom dealing with a somewhat over-clingy son, a work-romance she is both excited and hesitant about, and no particular overly-zany qualities like the other parents, so with her talent she excels even without a crutch of some over-the-top personality aspect to fall back on. She and everyone else have great chemistry, and the actors who portray their kids all do a solid job even if at times the show seems unsure if it wants the kids to get equal-billing with their parents as main characters or if they are more secondary to the various shenanigans the grown-up cast gets into. There have been three episodes so far and each one feels stronger than the last. The premiere/pilot had the usual problem of having to nail-down all the main plot points and introduce everyone within a single episode, but after that things have been able to breathe more and allow us to get to know the characters and how they handle various scenarios from dating to helping their kids deal with the death of a pet. "Single Parents," isn't perfect, but it is quite funny more often than not and the cast makes even the silliest situations worth watching. I'd give what I've seen so far of, "Single Parents," 4 out of 5 stars, and I'm eager to keep tuning in!